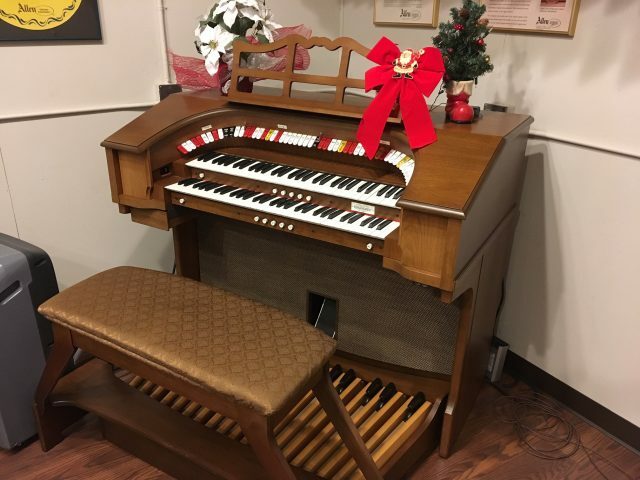 This 2 manual Allen with compact console is the perfect solution for those wanting the great sound of a larger Allen theatre organ but have limited space. The R-211 has the same tone generation and audio package as the 3 manual R-311. Includes relay for external speakers. More photos are available on request. $7,995. New and used speakers in different sizes are available for extra $. You are currently browsing the archives for the Allen category.